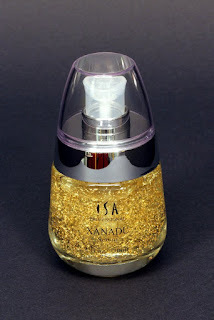 XANADU 24K Gold Serum by ISA professionals designed to be the Best Serum for your face. This product reminds me of old hotel shampoo that my Aunt used to give us that she saved up during her travels for work and visiting family. Some call it an Old lady smell but for me it just brings back memories. I supposed its the rose extract that gives the smell to it. I didn't find that the smell hung around after application and it absorbed. 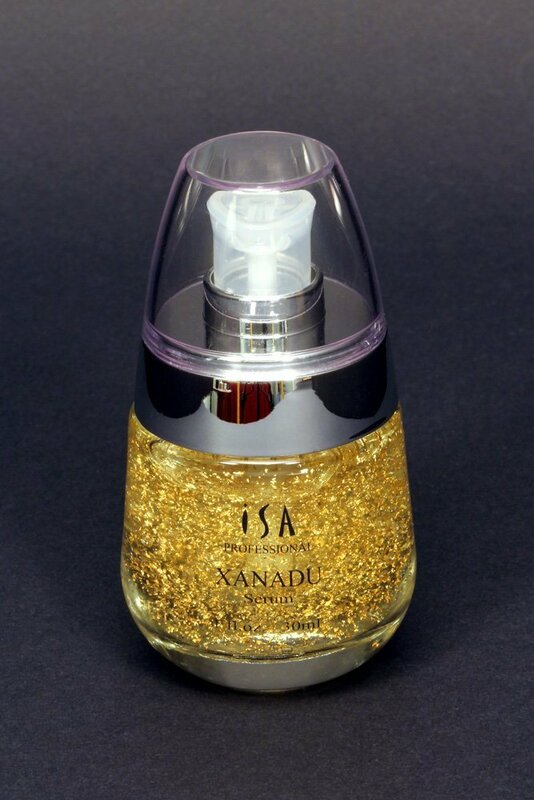 The serum itself is runny clear liquid with gold flakes. I was able to apply it easily to my skin avoiding the eye area. Due to the gold flakes it can't be used near the eyes. I have't experienced any break outs with this product currently. It left my skin feeling soft and moisturized and not at all drying. The packaging is cute with a cute bottle on the inside to boot. I received mine fulfilled by the Amazon warehouse and the cap for the serum was broken when it arrived. Thankfully the bottle itself made it in one piece although I think it would have fared better had it been shipped on its own and not in a large box with many other products. Would I purchase this in the future? Probably not, not for any reason of the product itself it works for me but I think there are many other affordable options out there I would be willing to buy instead. If you are looking to splurge or pamper yourself then I recommend this. 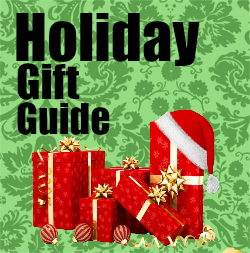 Or can purchased on Amazon .